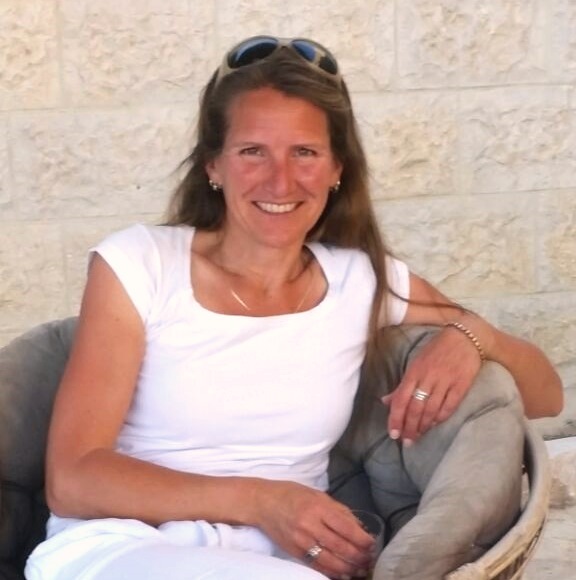 Hi, I am Jolanda, your host in B&B Petra Fig Tree Villa. During my first visit to Petra some years ago, I was dreaming about a place where I could enjoy my tea on a terrace, after a day of absorbing en mesmerising in Petra, reading in my travel book about the beautiful treasures I saw that day. In the meantime enjoying the silence and the view! And now this dream came true! And I cannot only sit on that terrace myself… I can also invite other Petra visitors to relish their experiences sitting here, overviewing the Petra mountains, drinking a cup of herbal tea and catch their breath after a day of hiking in Petra. 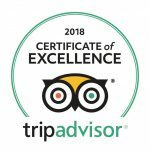 So let me be your host in B&B Petra Fig Tree Villa and let us have a cup of tea together! I’ll tell you something more about this place! B&B Petra Fig Tree Villa is a cosy Bed and Breakfast in a quiet part of Wadi Musa, Jordan. Only a ten minute walk away from the ancient and enchanting rose-red city of Petra so an ideal base to start your visit to the new Wonder of the world. Here you can experience the soothing calmness of this Jordanian oasis. Rest, relax and review your experience and impressions of Petra and enjoy the delicious food. the Garden room when you travel alone. the Rosemary room for a couple. Or parents with children, who can stay in the Shady room. the Shady room when you need a (two) single bed(s). the Petra room perfect if you want a spacious room with either a double or two single beds or for a family with young kids. Have a look at them to see which room fits you best! What to think of a chairmassage, to relax and revive your sore muscles after hiking all day! I’ve brought my special chair to give you a professional massage for I am a TouchPro ® practisioner. Ready for a complete weekend with fresh and healthy breakfasts, lunch (box), a vegetarian dinner and two chair massages? Up from two people I can organise your two night stay (upon availability)! Check out the program here! Make it easy for yourself and have your (vegetarian) dinner in the B&B after a day in Petra. To get an impression have a look here. And if you have dietary restrictions or food allergies, just let me know when you make your booking and it’s taken into account. “The Villa itself is very comfortable with decent facilities (shower etc. ), a good bed and a lovely kitchen with herbs and vegetables grown by Jolande in her garden. Also note worthy is the location of the Villa: on top of a hill, with a 5 min walk to Petra’s gate, in periphery of Wadi Musa – this unique combination allows for brilliant views over the city at night, or dawn with the sun peeking over Aron’s tomb. If you like to read more guest reviews you can have a look at the review page. Do you want to make your own memory of visiting Petra and staying in the B&B? Book your days of happiness now! Check availability and use my easy online booking form.